Sheheryar Kabraji BM BCh, is a medical oncologist specializing in the care of people with breast cancer. He runs an active laboratory-based research program aimed at understanding mechanisms of drug resistance leading to residual disease in breast cancer, with a focus on using patient-derived tissues and models. Dr. Kabraji completed his fellowship at Dana Farber/Partners Cancer Care Hematology/Oncology Fellowship Program and was a resident in Internal Medicine at Massachusetts General Hospital, both in Boston, MA. Dr Kabraji is the author of a textbook on Clinical Skills for Medical Students and has a special interest in aligning clinical skills, such as physical examination and patient-doctor communication, with evidence-based practice. Biography Lee S. Schwartzberg, MD, FACP is the Executive Director of the West Cancer Center in Memphis, TN. He is Professor of Medicine and Chief of the Division of Hematology/Oncology at the University of Tennessee Health Science Center. He is a scientific leader at George Clinical, a leading CRO with operations throughout the Asia-Pacific and the USA. 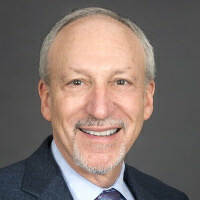 Dr. Schwartzberg was the founding editor-in-chief of the journal Community Oncology and currently serves as the editor-in-chief of the Practice Update Oncology website. 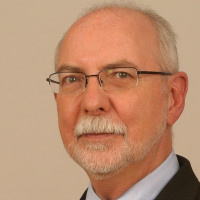 He serves on the editorial board of both the Journal of Supportive Oncology and The ASCO Post, in addition to serving as a reviewer for many prominent medical journals, including the New England Journal of Medicine and the Journal of Clinical Oncology. Dr. Schwartzberg is also a member of the Board of Directors for the National Comprehensive Cancer Network. His major research interests are new therapeutic approaches to breast cancer, targeted therapy, supportive care and patient reported outcomes. He has published more than 200 research papers during his oncology career. Dr. Schwartzberg is board certified in internal medicine, hematology, and medical oncology. He maintains a practice in medical oncology focusing on breast cancer. I am a board-certified surgeon and board-certified complex general surgical oncologist practicing in the Division of Surgical Oncology at the Massachusetts General Hospital. I specialize in liver and pancreatic cancer surgery. Dr. Hughes is a member of the Department of Surgical Oncology at the Massachusetts General Hospital and a graduate of Dartmouth College and Dartmouth Medical School. He trained at the Mercy Hospital of Pittsburgh for general surgery, followed by a fellowship in surgical oncology at the National Cancer Institute. Dr. Hughes was formerly on the faculty of Tufts University, the University of California, Davis and Brown University. Dr. Hughes is actively involved in clinical care and research related to the genetics, screening, diagnosis and treatment of breast cancer and is actively involved in the development of Health Information Technology that improves quality while decreasing clinician workload. He co-authored the HL7, ANSI approved standard for transmitting family health history, and was the Principal Investigator for the Cooperative Group Trial (CALGB 9343) that showed radiation therapy had little benefit in women over age 70 with early breast cancer. Clinical Decision Support Tool that calculates risk for patients with cancer susceptibility gene mutations. 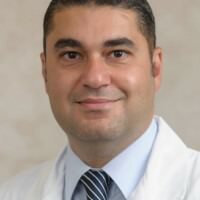 Dr. Nazha is currently engaged in a Hematology and Oncology fellowship at the Taussig Cancer Institute, Cleveland Clinic. Prior to his fellowship, he completed a Leukemia Fellowship at MD Anderson Cancer Center where he also served as an instructor in the Leukemia Department. Dr. Nazha’s curriculum vita demonstrates a remarkable body of scholarly work. He was awarded several prestigious teaching and research awards such as Future Leader in Hematology for Clinical Research Award, the James S. and Suzanne Cyrus Scholar Award Finalist, and the 2015 William E. Lower Research Award. He has authored and co-authored more than 30 peer-reviewed manuscripts and presented several research abstracts at national and international meetings. He is a member of a variety of oncology organizations and committees. 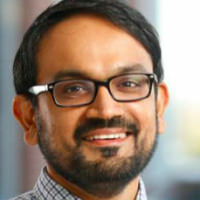 His research interest is the development of novel and rationally designed clinical trials that utilize a large collection of genomic and computational data. 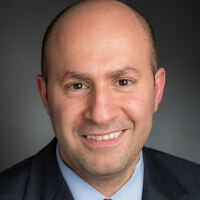 Dr. Toni K. Choueiri is the Director of the Lank Center for Genitourinary (GU) Oncology at Dana-Farber Cancer Institute/Brigham and Women’s Hospital and an Associate Professor of Medicine at Harvard Medical School. He is the Co-Leader of the Kidney Cancer Program at Dana-Farber/Harvard Cancer Center and President of the Medical Staff at Dana-Farber. He serves on the National Comprehensive Cancer Network (NCCN) Kidney Cancer Panel, the GU Steering Committee (GUSC) Task Force of the National Cancer Institute (NCI), and is Chairman of the Medical and Scientific Steering Committee of the Kidney Cancer Association. Dr. Choueiri is interested in developing novel therapies and biomarkers in GU malignancies. His research also focuses on epidemiology, diagnosis and treatment outcomes of prostate and urinary cancers using large scale approaches such as meta-analyses from available published trials or national databases. His work has been funded by the American Society of Clinical Oncology, the Harvard Kidney Cancer SPORE, the NCI, and Industry partners. He has over 400 PubMed-listed publications and is the overall principal investigator of multiple national and international phase I-III trials in GU cancers. Dr. Robert Motzer is a board-certified medical oncologist who is dedicated to improving the lives of patients with genitourinary tumors. Dr. Motzer’s primary area of expertise is in renal cell carcinoma and germ-cell tumors. For more than 25 years, Dr. Motzer has used his skills as a clinician to provide high-quality and compassionate care for cancer patients at Memorial Sloan Kettering Cancer Center in New York, NY. In addition to providing patients with the highest standard of medical care, Dr. Motzer has led more than 50 clinical trials in patients with kidney cancer and testicular cancer, including national and international multicenter clinical trials. His research has helped to identify five targeted drugs — sunitinib (Sutent®), pazopanib (Votrient®), axitinib (Inlyta®), temsirolimus (Torisel®), and everolimus (Afinitor®) — as effective treatments for patients with advanced kidney cancer. Also, he developed a system to aid in the prediction of treatment outcomes for patients taking medications for advanced kidney cancer; this (“MSK”) risk system is widely applied by physicians internationally to direct the care of patients. In the area of testicular cancer, his patient care and research efforts focus on developing better treatments for patients with difficult-to-treat tumors. On both a national and international level, Dr. Motzer has worked to improve the quality and delivery of cancer care for individuals diagnosed with kidney cancer and testicular cancer. He chairs the National Comprehensive Care Network Kidney Cancer and Testicular Cancer Guidelines Panel. He has published more than 400 original articles, scientific reviews, chapters and abstracts. Dr. Motzer is a recipient of the Career Development Award from the National Institutes of Health; the Willet F. Whitmore Award for Clinical Excellence from Memorial Sloan Kettering; and the Schonfeld Award from the Kidney Cancer Association, a charitable organization dedicated to kidney cancer patient advocacy. Melody J. Cunningham, MD, is currently the Program Director for the University of Tennessee Hospice and Palliative Medicine Fellowship and Medical Director of the Pediatric Palliative Medicine Program, Threads of Care, at Le Bonheur Children's Hospital and University of TN in Memphis, TN. She received her BA in English Literature from Wellesley College and MD from University of Massachusetts Medical School. She completed her Residency and Chief Residency in Pediatrics at the University of Massachusetts Medical School and Pediatric Hematology Oncology and Transfusion Medicine Fellowships at Harvard Medical School. 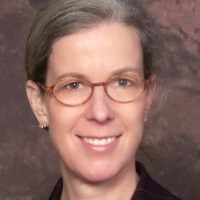 She is Board Certified in Hospice and Palliative Medicine, Pediatric Hematology/Oncology and Transfusion Medicine. 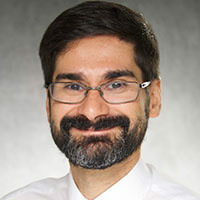 Dr. Saeed is an academic nephrologist and a palliative care specialist whose research focus is the role of palliative care in improving patients' and caregivers’ quality of life and end-of-life experiences. Dr. Saeed also studies the nuances of physician-patient communication, health care utilization and health-related decision making in clinical contexts of chronic kidney disease and cancer. 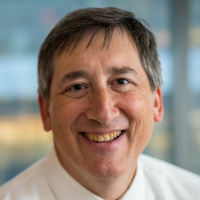 Dr. James Tulsky is Chair, Department of Psychosocial Oncology and Palliative Care at Dana-Farber Cancer Institute, Chief, Division of Palliative Medicine, Brigham and Women’s Hospital, and Professor of Medicine and Co-Director, Center for Palliative Care at Harvard Medical School. Dr. Tulsky attended Cornell University as an undergraduate, completed his medical degree at the University of Illinois College of Medicine at Chicago, and received his internal medicine training at the University of California, San Francisco (UCSF). He continued at UCSF as chief medical resident and subsequently as a Robert Wood Johnson Clinical Scholar. From 1993-2015 he was on faculty at Duke University where his last position was Professor of Medicine and Nursing and Chief, Duke Palliative Care. He is the recipient of the 2002 Presidential Early Career Award for Scientists and Engineers (the highest national award given by the White House Office of Science and Technology for early career investigators), the 2006 Award for Research Excellence from the American Academy of Hospice and Palliative Medicine, the 2013 George L. Engel Award from the American Academy on Communication in Healthcare for “outstanding research contributing to the theory, practice and teaching of effective healthcare communication and related skills,” and the 2014 American Cancer Society Pathfinder in Palliative Care award. Dr. Tulsky has a longstanding interest in doctor-patient communication and quality of life in serious illness, and has published widely in these areas. 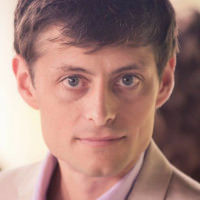 His research focuses on the evaluation and enhancement of communication between oncologists and patients with advanced cancer, identification of clinical, psychosocial and spiritual trajectories of patients at the end of life, development of self-management interventions for patients with life-limiting illness, and evaluating the role of palliative care in congestive heart failure. He is a Founding Director of VitalTalk (www.vitaltalk.org) a non-profit devoted to nurturing healthier connections between clinicians and patients through communication skills teaching. 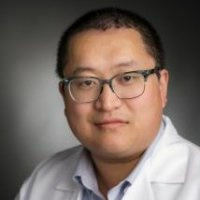 Dr. Mark Zhang is the Associate Program Director of Clinical Informatics and Innovation Fellowship at Brigham and Women's Hospital; a Palliative Care Consultant at the Dana-Farber Cancer Institute; and the Co-Founder of Cake (joincake.com). Aaron Mitchell is a third-year oncology fellow at the University of North Carolina. Dr. Mitchell grew up in North Carolina, and received his BS in biology from Yale University in 2005. He received his MD from New York University School of Medicine in 2011, before returning to his home state to train in internal medicine at Duke University Hospital. At Duke, he served as the Chief Resident in Quality and Patient Safety at the Durham VA Hospital from 2014-15. He began his fellowship in medical oncology at UNC in July 2015, where he is also pursuing an MPH in Epidemiology at the UNC School of Public Health. His primary mentor is Dr. Ethan Basch. Dr. Mitchell’s research focuses on understanding the delivery and financing of cancer care. A health services researcher, his particular areas of interest include pharmaceutical pricing, physician reimbursement reform, and clinical trial design. His recent work on industry conflicts of interest in oncology was presented as an oral abstract at the ASCO 2017 Annual Meeting, “Pharmaceutical industry payments and oncologist drug selection.” To date, he has authored over a dozen peer-reviewed manuscripts and book chapters in both basic science, clinical oncology, and health services research. Dr. Juan Pagan-Ferrer is an Associate Professor, department of Supportive and Palliative Care at the University of Iowa Hospital and Clinics. Dr. Pagan-Ferrer obtained his medical degree in the University of Puerto Rico Medical Sciences Campus and received his Internal Medicine training at the University of Texas Health Science Center at San Antonio. He completed an integrated Geriatrics and Palliative Care Fellowship from 2015-2017 at the University of Texas Health Science Center at San Antonio. Currently his areas of interest are developing Resiliency Curriculum for providers in fields with close proximity to end of life care, Advanced Care Planning for patients with neurodegenerative diseases such as ALS and Medical Education.